Madison, WI—Austin, TX guitarist and vocalist W.C. Clark will appear in Madison for one night only on Monday, July 7th at 8:00 p.m. at Badger Bowl for a benefit concert for Our Lady of Hope Clinic. The Clinic provides free primary medical care for men, women and children without health insurance. The concert will be sponsored by local businessman and philanthropist Kurt Welton of Welton Enterprises. “I have supported Our Lady of Hope Clinic since it was established five years ago, and my late-wife Maria volunteered there as an interpreter, so it is very important to me. Two years ago I had the honor of having W.C. Clark play at Welton Enterprises’ 25th Anniversary Party, and he was phenomenal. Last year I was able to get the majority of the band back together for a concert benefiting the clinic. And they are back once again this year. This will be such a fun way to help the Clinic, and in turn, the patients it serves who would not otherwise have access to a doctor,” Welton explains. In addition to Clark, other invited artists include: Ken Saydak (keyboard), Bill Roberts and Jim Ohlschmidt (guitar), Chris Sandoval (drums), Tony Menzer (bass), and Tom Sobel (saxophone). There will be an $8 cover charge at the door; however additional free-will donations will be greatly appreciated. 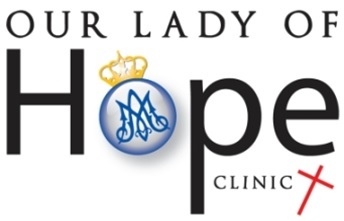 100% of cover charges are going to Our Lady of Hope Clinic. The band will play from 8:00 p.m. – 12:00 a.m. at Badger Bowl, 506 E. Badger Road, Madison.